In that case don’t hug him. 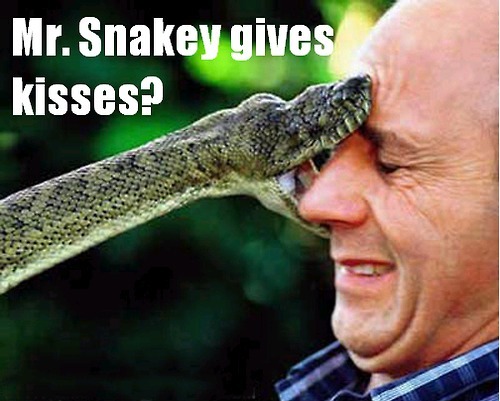 My ball python latched onto my face like that, except it was over my actual lips. Looked like I had herpes for a week. The unsettling thing was how many chicks hit on me during that week. I couldn’t tell if they thought I looked dangerous, or they had herpes.